Craftsy is getting a makeover! How they grow up so fast! Craftsy released a brand new site relaunch today, with a sparkling new site & brand identity. Craftsy has evolved quite a bit since my start with them as an affiliate in 2013. They were are my solution to all my followers who were asking for design books or videos authored by me. Craftsy made it possible for me to deliver regardless of my hectic schedule. And now with hundreds of classes to choose from, Craftsy has decided it too needed its site’s original platform to be a better fit for the crafting community at-large. So today, we see a new Craftsy… a Craftsy 2.0! The Craftsy group is lucky to have incredible followers who inspire with their passion and creativity. In speaking with many of their members, Craftsy realized that by integrating project ideas, learning, and supplies in one place, they could make it easier and more fulfilling for members to get down to what they love to do: to create and make! Think of Craftsy as the hostess of the world’s largest crafting party. As a Craftsy affiliate, I want you… to create! 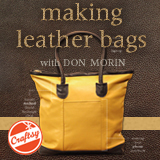 Maybe it’s a sweater, maybe it’s a quilt, maybe it’s just a great big beautiful leather tote, like the one I demonstrate in “MAKING LEATHER BAGS with Don Morin” (shameless plug 😀). That creative itch you can’t ignore? They can help scratch it. My Craftsy colleagues and I are here to fuel the joy of self-expression — to share ideas and help your unique creativity bloom. We speak the language of colour, design, texture, flavour and above all, inspiration — and we want everyone in on the fun. Because when you create something you never thought possible, we’re just as excited as you are. So join in! Let’s celebrate their new look and make something amazing together. Inviting: We like to look at the world as one big craft-along, and everyone’s invited. Excited to Learn & Share: We love discovering the next new pattern, the next new colour, the next new recipe, the next new beautiful idea. And lucky for you, Craftsy is big on spreading the word. Encouraging & Empowering: The best creative adventures usually involve a few messes and mistakes — so go ahead and enjoy ‘em. You will only be the wiser. Creative & Original: We live for colour, flavour, texture, pattern and design — and it shows in everything we do. Lighthearted & Playful: Ultimately, Craftsy is in the business of fun. So they never take ourselves too seriously. Knowledgeable: Craftsy instructors have got lots of experience, so you can count on us for smart tips, tools and troubleshooting. Along with the many creative crafts offered, I enjoy reading the Craftsy blog. There are so many wonderful freebies to treat you to your passion. Be the first to enjoy new tutorials, resources, contests, giveaways & more. It’s all free! And lastly, this one is probably my most-favourite — the makers’ gallery, where I get to see all the wonderful things you’ve have made. Whether you’re a crafting newbie or a seasoned professional, come make yourself at home. Try a class, start a new project or just look around if you’re curious. You’ll find many of my favourite Craftsy classes on my STORE page with my personal links to them all and you can follow them anywhere, anytime…. they even have a Craftsy App for iOS and Android. Furthermore, if you are not completely satisfied with your selection, Craftsy will return your money — guaranteed. Either way, we’re pretty sure you’ll find a friend. Have fun with the new Craftsy, create and make something amazing! For your little design zen for today, the Be Dior bag …introduced at the Fall/Winter 2014-2015 collection shows. Watch how it is made, exclusively on Vogue.fr as the expert craftsmen at Dior takes us through each step of making their latest it-bag, from the precise leather-cutting, to the different pieces coming together and the neat stitching to finish. 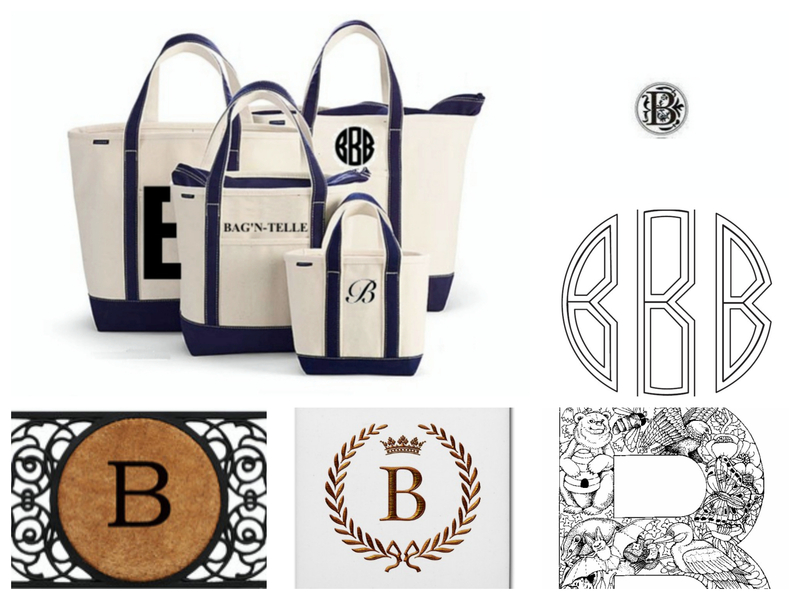 You don’t have to be a fourth generation Rockefeller or a Nantucket vacationer to have a monogram. A monogram is a great way to personalize travel and small leather goods, as well as, your own daily-use carry-all. 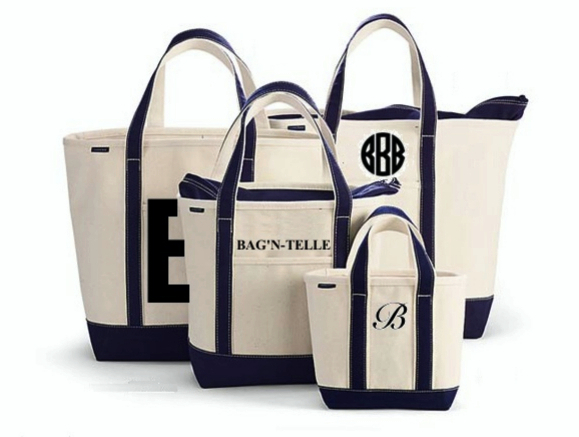 Whether traditional and elaborate or modern and minimal, BAG’N-TELLE will help you design a DIY monogram that jives with your personality, aesthetic, and fashion image. What is a monogram? 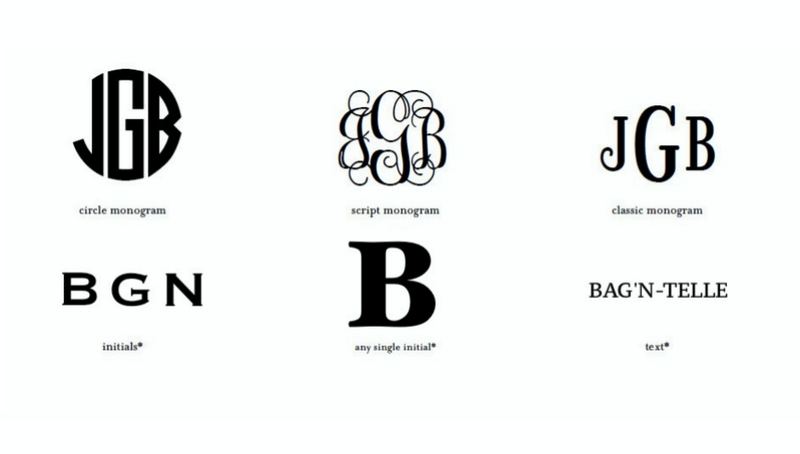 A monogram tells a little bit about you. It suggests who we are or want to be, puts forth our views on lifestyle, tradition, and individual identity, not to mention the wonderful things it does for the customization of your own bag designs. 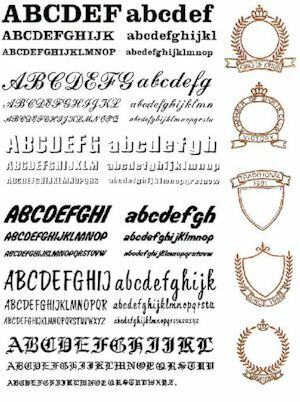 A monogram consists of a person’s initials — usually a variation on the first, middle, and last name and much has been written about proper monogram etiquette, yet in the end your monogram should tell a story about you. 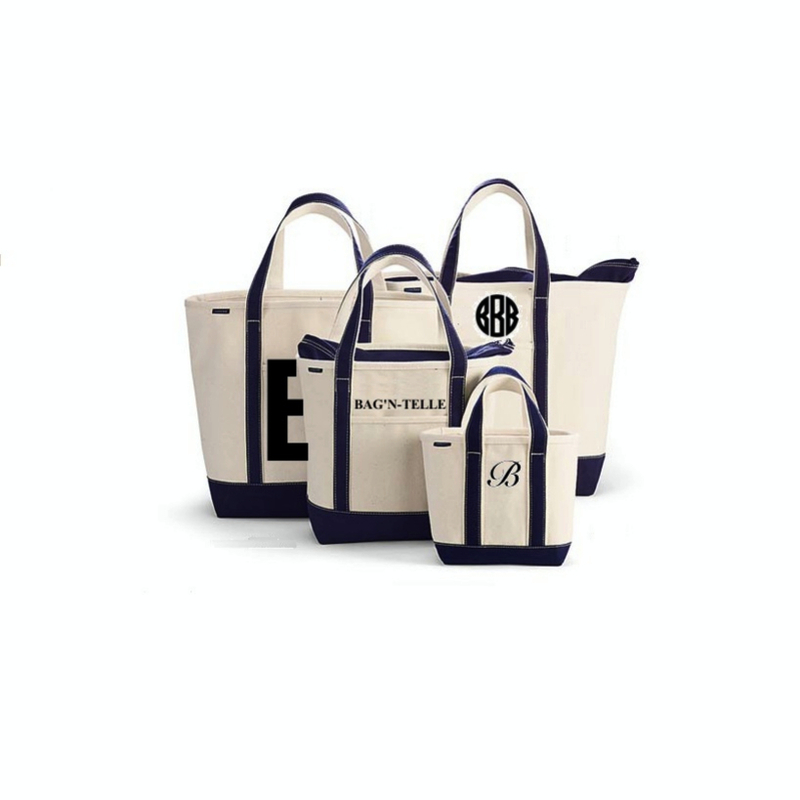 Embellish your bag design with a full name, team mascot, title or initials, with one of these eye-catching arrangements. Note: The traditional monogram layout would be first initial, last initial, then middle initial. Find your favourite font, whether you prefer a serif, no serif or a timeless script. 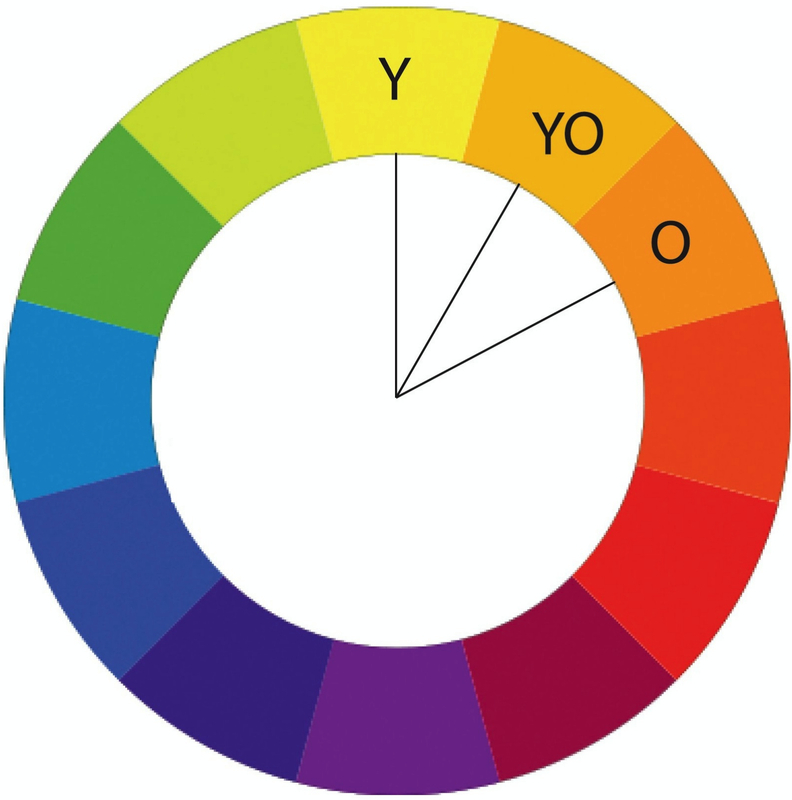 With shades ranging from black to something a bit brighter, the thread/ink choice is yours. Make your statement as subtle or as bold as you like. * Lettering colours vary based on fabric colour and should harmonize the overall bag design. When your style, thread colour, font and arrangement come together, the result is a wonderful look that is truly, uniquely yours. Beside embroidery, there are other ways to produce a personalized look to your bag design. Try fabric printing/silk-screening. Copyright-free images can be easily be found on the Internet and used with iron-on or fabric transfer paper. 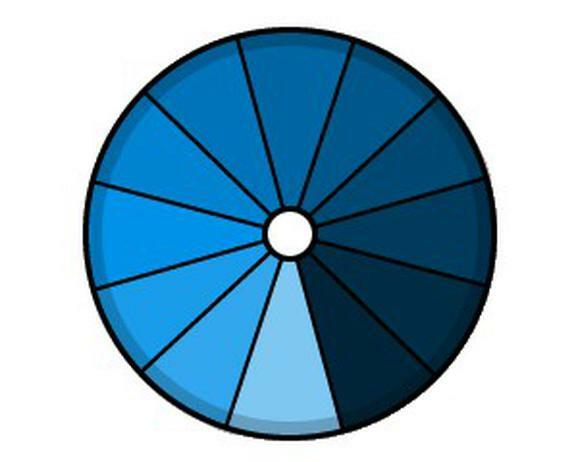 There are many design motifs to choose from to give you ideas for your projects. Inkjet printers transfer kits are available in the marketplace and manufacturer’s instructions are easy to follow. Paint and inks too messy? Perhaps an iron-on transfer? Many sewing notion retailers offer press-on letter transfers. These items use a “hot fix” technique utilizing letter fonts and motifs. 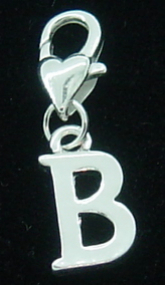 Kits are available as embroidered lettering or glass flat-back beads available in gemstone colours and rhinestone. 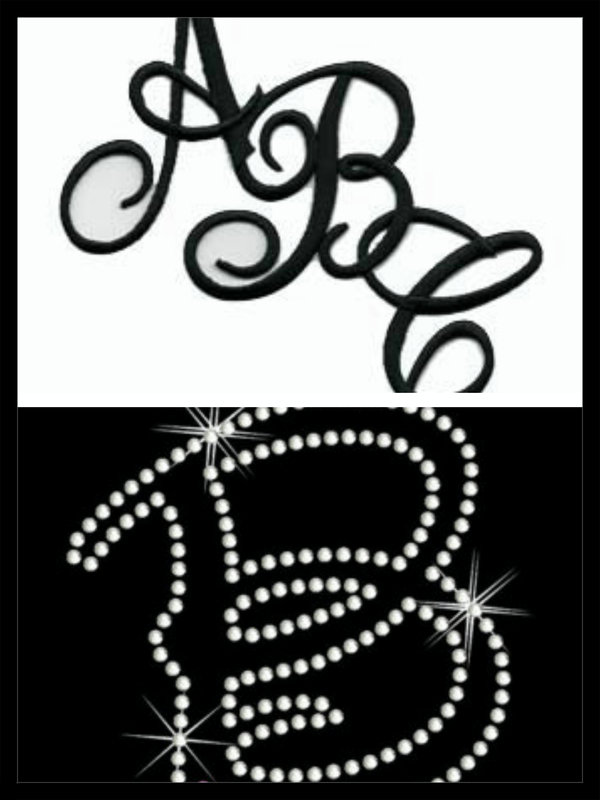 Letters can be cut out and arranged to make a monogram or personal “logo”. Look for embellishments to add to your bag design such as monogrammed buttons or key fobs. 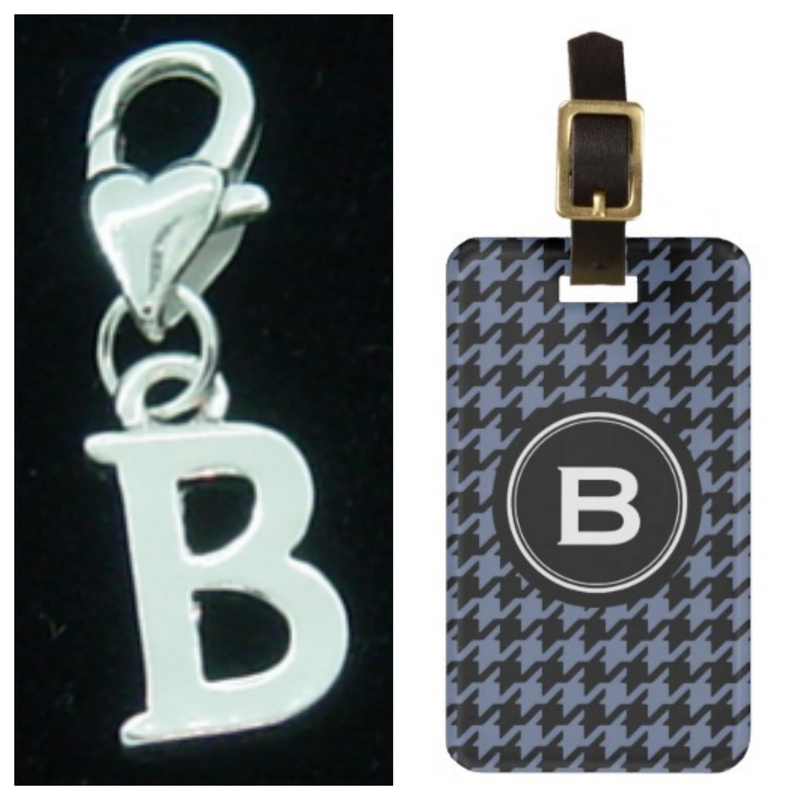 Monogram keychains and monogram bag tags are available in lots of modern and traditional styles. Many of the styles can be designed in the pattern colours, accent colours, and fonts that will compliment your bag design. Harmonize your metals. 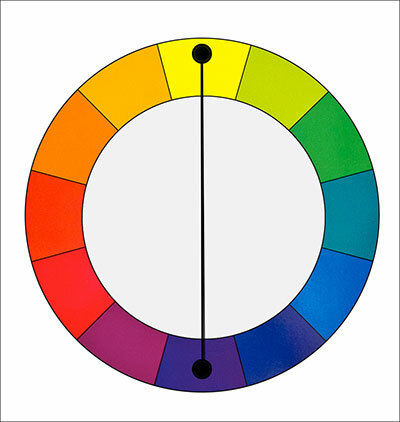 Match the metal colour and finish of your button/fob selections to coordinate with that of any bag fittings or metal zippers used in your bag design. Finding your luggage in an instant with a bright coloured bag tag with your name or monogram on it makes travelling a breeze. So there you are….a few ideas to inspire you how to truly make it your own. I am certain, you have a few creative ideas of your own. 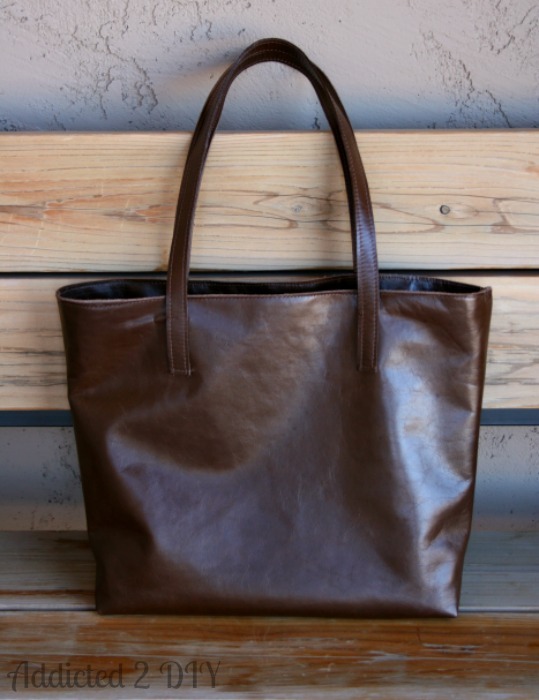 Not a bad review from Katie at Addicted 2 DIY and a tip of the hat to my good friends at Leather Hide Store. I love how she made it her own. Thanks, Katie.